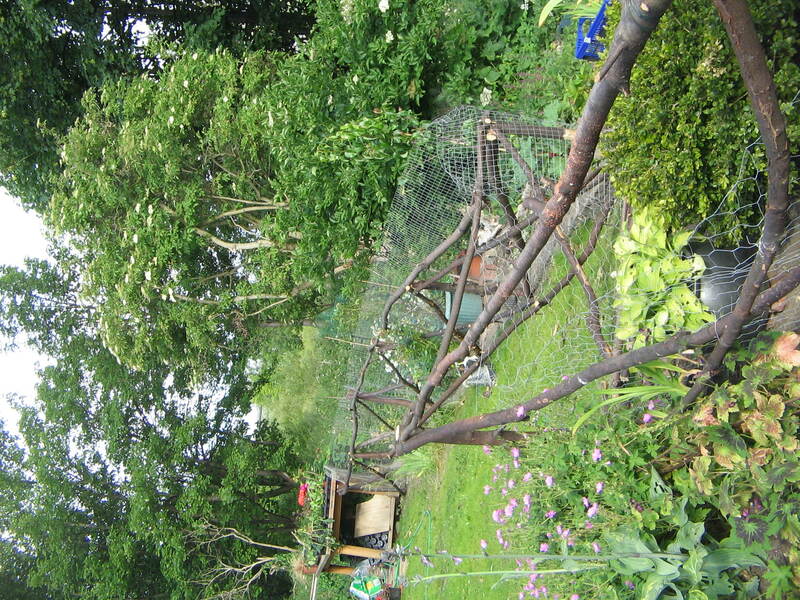 Last year I cut down some sycamores and I made a little pile of branches at the bottom of the garden promising myself that I’d turn them into rustic poles for fences, arches, who knew….lots of things. But they sat there and sat there as things do. 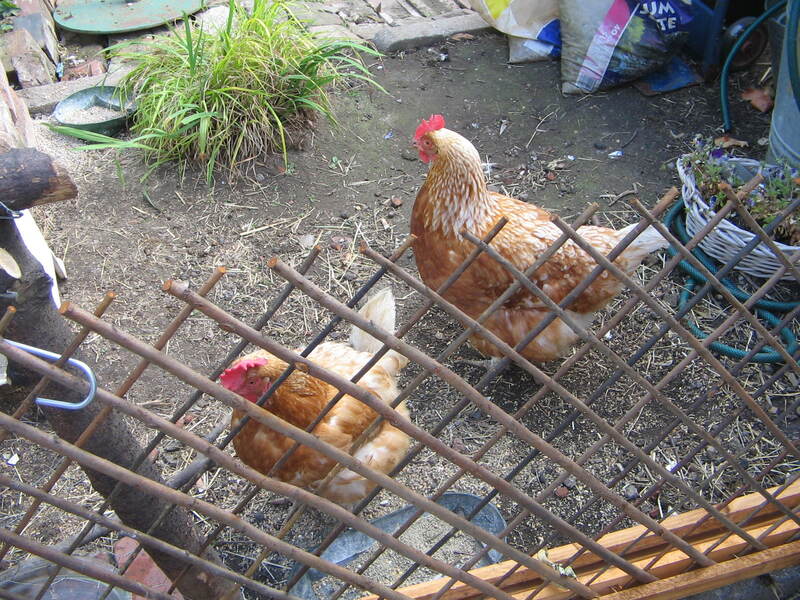 However I just had to do something about the hens who could break into the flower beds no matter what I tried to keep them out. They’d make fantastic escape artists those birds. The final straw was the whole crew of them in the veggie plot – there were peas flying, lettuces disappearing and a big dust bath appearing in the middle of the onions. Enough ladies, time to build a fence. I was amazed to find that it wasn’t too difficult – and it was almost free, but very rustic. Apart from a few screws here and there and the netting of course to fasten onto it, what a bargain. We had to bash in the uprights which was the hardest part and it may not be here in 10 years, but it works perfectly for now. It looks cottagey which was the plan, the hens are well and truly shut out although a bit miffed, and they still have acres to play in and I’m happy. I’ve planted one of my favourite roses to sramble all over it. Veilchenblau is a ramber with prolific flowers. Starting off quite purple it fades almost to pale grey. It can be a bit of a monster if you let it get out of control and I suspect it may decide to take my fence with it but I’m happy to give it a go. Its only a baby at the moment but watch this space. And because I want mygarden to be informal I’ve planted into the side of the lawn where I’ve also put some iris to establish and some lavender. Later I’ll put in some honeysuckle to climb over the fence from the other end and meet the rose in the middle to give a beautiful scented mix. 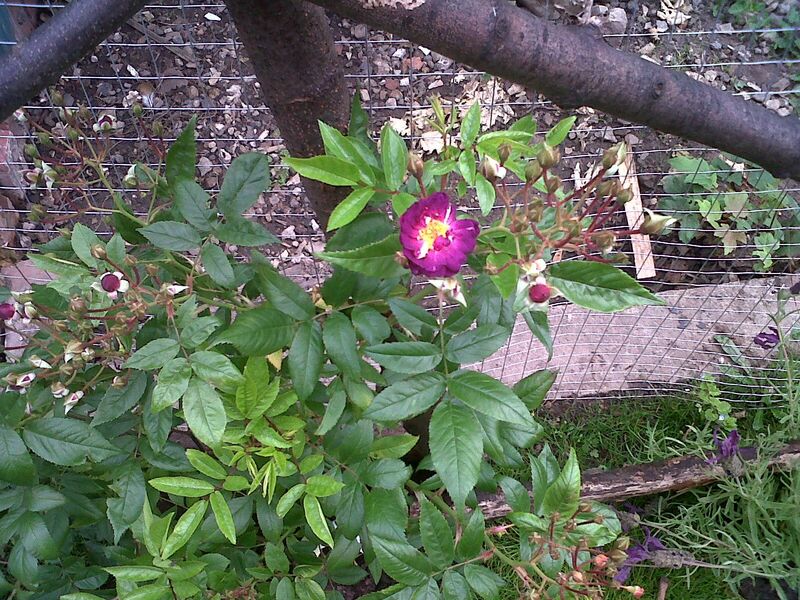 Here’s the first little rose that’s just come out as I’ve planted it.